What do you really sacrifice when you pick a laptop over a desktop? Are you really sacrificing anything now that laptops are more advanced than ever? It used to be that when you were deciding between the two, you had to pick between power and mobility. With as far as we have come with advancing our technologies and improving upon them, the line between the two is becoming more and more blurred. Choosing between a laptop and a desktop is not nearly as difficult as it once was in the past. The only real decisions to make when choosing between the two, now, are things like being mobile or stationary, and what are you going to be using it for. The fact of the matter is that some computers and laptops are designed for certain purposes. Some computers are designed for gaming while others are designed for music or photo editing. An undeniable truth, still to this day, is that desktops are able to be upgraded. Desktops are naturally more powerful as all of the hardware (the monitor, the tower, the mouse and keyboard,) is not combined into one product. Even with these obvious truths, desktop sales have declined. According to Digitimes Research, numbers from the first quarter and second quarter of the fiscal year show a very steady decline. The first quarter saw a 13.7% drop in sales and shipments. The second quarter actually got worse with a 15.4% drop in sales and shipments. Could this possibly mean the end for desktops? Is it really a matter of power? Or is this more a matter of purchasing habits evolving? The need for powerful desktops is not nearly as large as manufacturers may hope. With technology continually growing and getting more powerful and more advanced, we’ve seen faster and more powerful tablets, smartphones, and laptops. We live in a world that is always on a “Go! Go! Go!” schedule, so it is hard to be tethered to one place in order to access the internet, our favorite programs, or even work emails and spreadsheets. Many of us can reach into our pocket and access all of these things via our phone or other mobile device, so what is the real appeal for desktop computers? The only tangible guarantee from desktop computers is that you are able to upgrade. Better CPUs and GPUs. Better cooling systems. When being used for gaming, or larger more advanced projects, the desktop can still best a laptop, because of the updatability of it. High-end media editing or scientific calculations and programs could see a need for this type of power. With that being said, look at how far the laptop has come. 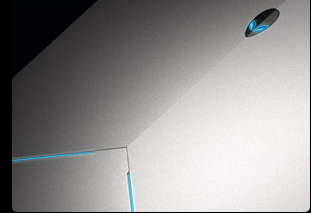 We have laptops now that are designed for gaming and media edting. Laptops like the Alienware 18 or the Apple MacBook Pro with Retina Display are designed with these specific tasks in mind, so now we no longer have to choose between power and mobility. The continuing advancement of technology has given us laptops that provide us with both. Are laptops a better option than desktops? Yes.